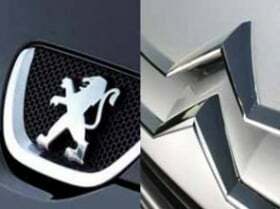 PARIS -- A parts shortage has disrupted PSA/Peugeot-Citroen production throughout Europe, company and union representatives said. Five PSA factories in France and others in Spain and Slovakia have been hit by a software glitch at Italian supplier Agrati. The glitch means that screw components made by Agrati cannot be sent when and where they are required, a PSA spokesman added. The spokesman declined to quantify output losses due to the component shortage. Michel Bourdon, the general delegate of PSA's CGT union in Rennes, France, told Automotive News Europe that the shortage most affected the Rennes plant in France. Production of the Citroen C5 and C6 and the Peugeot 407 and 508 resumed Friday in Rennes after output was halted there for seven days, resulting in 7,000 units of lost production, Bourdon said. Production at PSA's plant in Mulhouse, France, where Peugeot 206, 308 and Citroen C4 cars are built, remained stopped on Monday and Tuesday, Bourdon said. Output has resumed at the French factories Poissy, Sochaux, and Aulnay, he said, adding that production had been halted at Vigo, Spain, and in Trnava, Slovakia. The part responsible for the disruption is a special screw adapted for Peugeot and Citroen components. It is used to hold the shock absorbers and engine cradle components together. Reuters reported on Tuesday that production at Trnava was restarting Wednesday. The PSA spokesman declined to predict when full production would resume at all affected plants.